Caroline is the Senior Director of Engineering at Workday, the market leader for SaaS-based enterprise cloud applications for finance and human resources. Workday topped the Future 50 list this year due to its strong financial growth, heavy product investment and future-oriented workforce. Caroline, like many Workday employees, is an expert in her field, with over 23 years of experience in software development and more than 12 in engineering management. Prior to Workday, Caroline worked at companies such as Intel, Capgemini and BearingPoint. 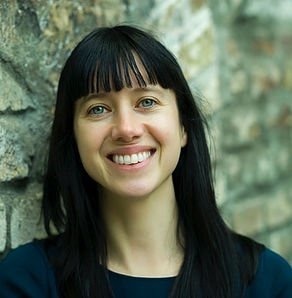 In addition to carrying out her tech role, Caroline is also studying for an MBA at Trinity College Dublin. 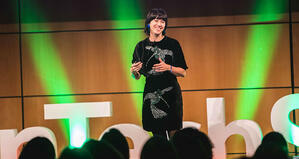 We caught up with Caroline after her keynote at the Women in Tech Dublin conference. Why did you decide to get involved with Women in Tech Dublin? As a woman in tech, I feel it is my duty to encourage, meet and support other women in tech. There is a tremendous tech scene in Dublin and it was a great opportunity to connect with 700 women in the industry. I shared four ways my thinking has changed in the past few years. I’ve learned to use feedback as a positive tool for growth. I shared ways that I focus on strategic projects. I talked about the importance of knowing your team values and never losing sight of your culture. You cannot build anything without team trust and a healthy culture. Lastly, I talked about stepping out of your technology comfort zone and understanding more about the business. What does it mean to you to be a female leader in tech? I feel a responsibility to change the perception of software engineering for the next generation. I speak with students as part of the Trinity College Bridge21 initiative. Many students see software engineering as a solitary profession. But I show them that it is much more of a team sport and tell them about all the different roles and paths they could take. What excites you about Software Development at Workday? I’m lucky to work at a company where I get to solve complex problems and make a meaningful impact on the product with the best teams. A typical day is usually a mix of a few different aspects of my role. Primarily, I work with my teams to deliver new features for Workday. We’re involved in enabling Workday to scale for our largest customers so we are always innovating and investigating ways we can scale and be more efficient. I also spend time planning future initiatives, deciding which ones are going to have the most positive impact for our customers. Some days, I speak to our new hires about Workday culture and help plan the future of our Dublin site. It is important to have a diverse mix of people to solve any problem. We need diversity by gender, ethnicity, thought, experience and background to make sure we hear everyone's voice when solving problems. Women in Tech Dublin returns to CCD Dublin on 12-13 September 2019. What are you and Workday doing to promote women in tech? We run many initiatives, some of which are enabling women’s mentoring programmes, attending and speaking at Grace Hopper and hosting the Girls Who Code groups, providing them with mentors and coding coaches. We also support the Bridge21 initiative, which provides a team-based coding experience for young women. A few months ago, I enrolled in a part-time MBA programme at Trinity College Dublin. I’m learning lots of new skills already - accounting and assessing company health, new leadership skills, business ethics, how to develop a thoughtful business plan and how to pitch for financial investment. 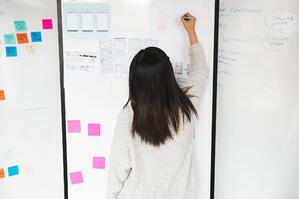 If there was one piece of advice you could give young women in tech, what would it be? I will pass on some valuable advice that was given to me: don’t lose your uniqueness. What do you like to do during your downtime to reboot from work? I don’t have a lot of downtime at the moment between work, college and family but when I do, I love to get in the water. Interested in supercharging your career like Caroline has? 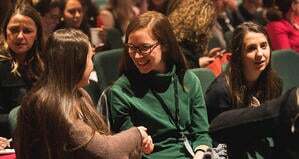 Women in Tech Dublin returns for 2019 to CCD Dublin. Own your challenger mindset at this year’s event. Join over 1,000 inspirational women in technology for two days of innovative content in a passion-charged environment. Disrupt or be disrupted – secure a spot among your fellow female innovators today.